Now on the market, this pristine American Colonial is move-in ready, thanks to major home improvements including recently remodeled bathrooms and a completely new kitchen. "It was our every intention to highlight the home's architecture, especially the vaulted ceilings, crown molding and hardwoods, so we were precise with everything from the paint colors to cherry cabinets in the kitchen," said homeowner Chris Cartini. 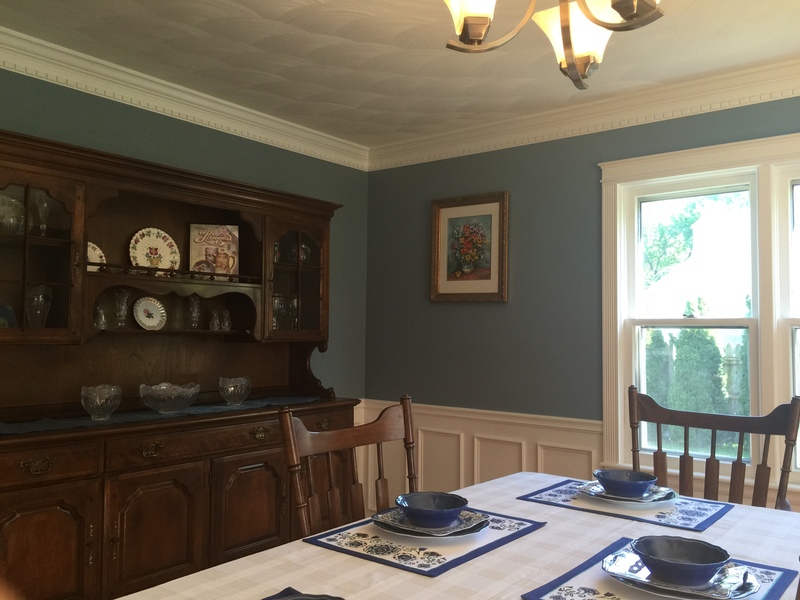 "We then added stainless steel appliances and new lighting fixtures to really make an impact." Outside the grounds are beautifully manicured, giving way to a lovely fenced-in backyard, brick patio, heated in-ground pool and four-car garage with over 1000 square feet of space. 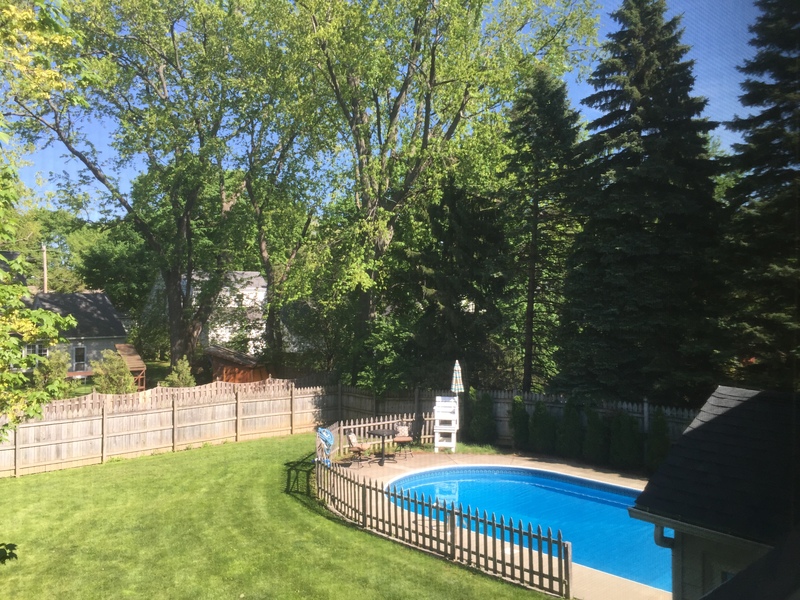 Located in a quiet neighborhood off of East Genesee Street in Dewitt, this ultra convenient location is close to Wegmans, I-481, and all of the schools in the Jamesville-Dewitt district. "As a teacher, raising my children in J-D has been wonderful. If it weren't for our long commutes to work cutting into family time, we wouldn't even consider relocating," said Andrea Cartini. In addition, the home has a full basement for laundry or extra storage, and the attached sunroom makes for a perfect private office space. 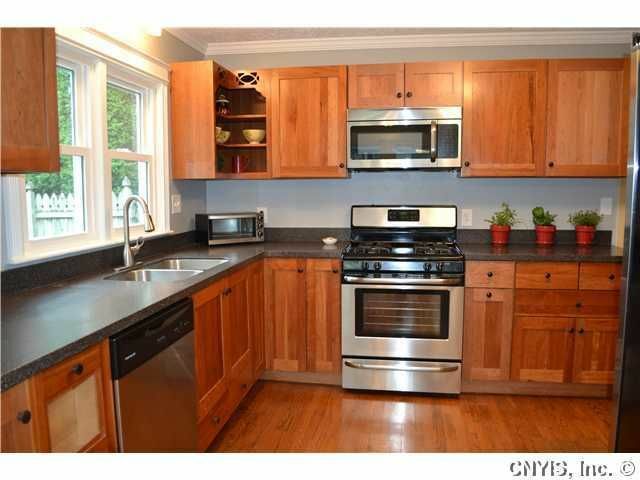 To schedule a home tour contact Gloria Barbano Weyl with Team GRG of Realty USA at 315.682.9500 ext. 344. Or if you'd like a Peacock Media Multimedia Storyteller to share your home's story, schedule a brainstorming session here.